Did you upgrade your PC to Windows 10? do you think you will never go back to previous version of windows? when upgrading OS your old OS didn't get erased; rather, it's stay in a system folder called Windows.old. If you think you might want to downgrade from Windows 10 back to the previous version, don't delete that folder. 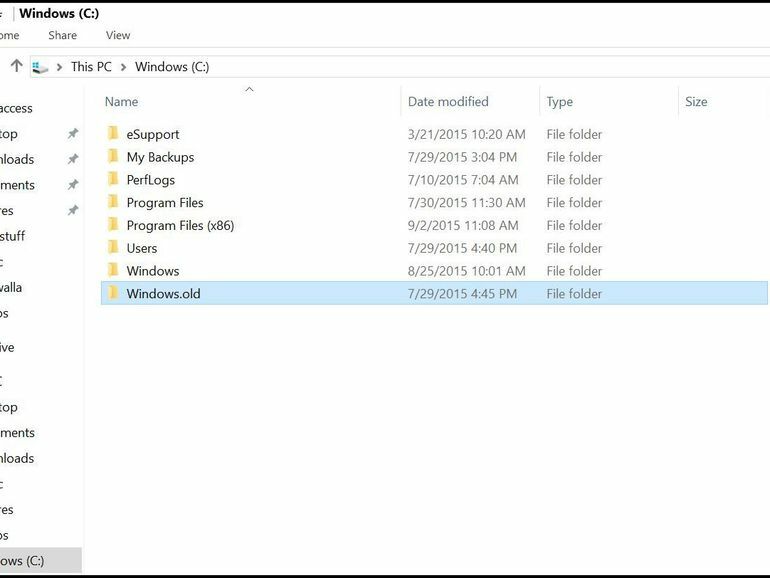 unless you're seriously strapped for space on your hard drive, you don't have to do anything:Windows 10 will automatically delete the Windows.old folder one month after you performed your upgrade. If you'd rather not wait if you want to reclaim that storage now -- you can delete the folder immediately, though not in the way you might expect. Indeed, if you simply click the folder and then press the Delete key, Windows will tell you you need permission. Step 2: Click the "Disk Cleanup" button. Step 3: Disk Cleanup for C:drive will show, click on "Clean up system files"
Step 4: Wait a bit while Windows scans for files, then scroll down the list until you see "Previous Windows installation(s)."